This 20-line (fixed), 5-reel video game will arouse your spirits. 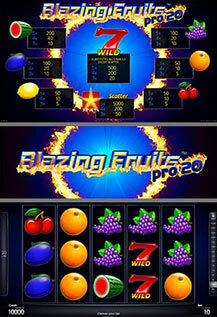 It is the latest exclusive version of the highly popular fruit games. Have fun with this gripping new game!